After School Tutoring is available on Monday, Wednesday, and Thursday from 3:15 p.m. to 4:15 p.m. in the Library. A Math, English, and Chemistry teacher will be available to assist. For more information, visit the library. 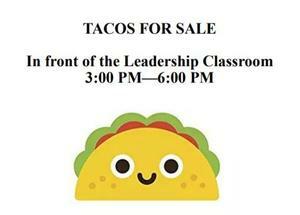 Meeting will be in the Parent Center @ 3:15. Click to see agenda. FAFSA priority deadline is March 2! Bring your parents' tax forms to the college center for assistance. FAFSA workshop will be held on Saturday, February 23, and all week after school. 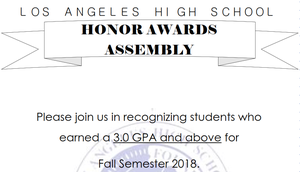 Honoring students who achieved 3.0 or higher GPA for Fall 2018 semester. 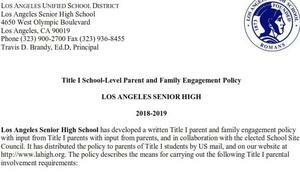 LAUSD's Title I Parent and Family Engagement Policy as well as LA High's School-Parent Compact for Achievement were mailed to all students' homes on Friday, January 11, 2019. Please let us know if you have any questions about the policy. 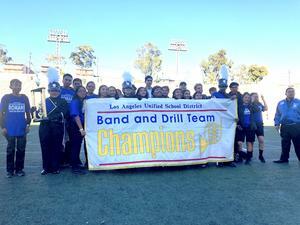 44th Annual LAUSD Band & Drill Team Championships Results! Watch the World Series with Us!